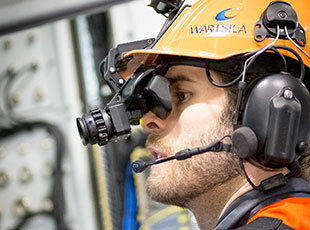 Wärtsilä has embarked on a ground-breaking digital journey – and wants to take its 12,000 customers along for the ride. Salesforce is a key to Wärtsilä’s digital transformation, helping to unlock new ways to interact with customers and the intelligence that builds up during long-lasting relationships. Making information more accessible and visible across multiple functions and geographies was a key driver for deploying a global customer relationship management (CRM) system. As a provider of lifecycle power solutions to marine and energy companies, Wärtsilä needs to be able to track new customer opportunities over months or even years. Large projects and long-term agreements require a lot of teamwork across the sales operation. “Sales Cloud makes account planning, sales funnel management and collaboration much easier. 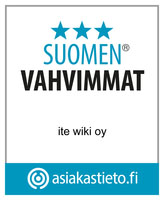 We can ensure we align the right resources to the right opportunities,” added Kujanpää. Wärtsilä has also been able to achieve resource utilisation efficiencies across its services business. The company maintains 450 customer installations under long-term contracts, and performs over 100,000 field services jobs a year. Deployed in 2010, Service Cloud is also used to track customer queries and to power an online knowledge base within Wärtsilä Online Services. Wärtsilä maintains knowledge and skills for 350 different product types, and provides 20,000 technical answers a year. Simplifying customer access to this expertise is a key part of Wärtsilä’s digital transformation. In 2014, the company launched a range of new online services for its 10,000 users, which are underpinned by Community Cloud. Thanks to this initiative, customers can now place and track orders for spare parts, access technical support and maintain inventories and warranties for installed Wärtsilä products. The €4,7 billion company has also improved information access for its nearly 3.600 field service engineers and technicians by creating a mobile app. Developed on Salesforce App Cloud, the app provides access to hundreds of product manuals and installation bulletins. Engineers also use the app to log new leads and to access their service orders, which can be updated and signed off by the customer while on site. “The app saves a massive amount of time and improves quality of service for our customers,” added Hakala. To ensure customer information and product details are correct across all digital touch points, Salesforce is integrated with Wärtsilä’s enterprise resource planning system. When a new solution is introduced, it’s added to the company’s offering catalogue, which is maintained in the Salesforce solution. 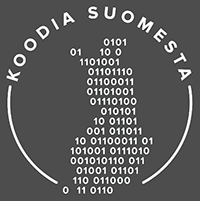 “We can track the potential of new products and solutions against the expected ROI,” added Kujanpää. As a digital pioneer, Wärtsilä is already tapping into the power of remote analytics and support. For example, customers can access real-time reports and analytics to help optimise the operation of power plants and vessels around the world. “By remotely monitoring installations and analysing the data collected, we can predict maintenance needs, which mitigates risk and maximises safety and performance for our customers,” added Hakala. For Wärtsilä, every decision it makes comes back to its customers. From spare part deliveries to digitalised maintenance services, Wärtsilä is committed to driving continuous improvement and nurturing customer partnerships. "With Salesforce, we can accelerate the creation of digital services and digital value."